*Powerhouse *is the fascinating, no-holds-barred saga of that ascent. Drawing on unprecedented and exclusive access to the men and women who built and battled with CAA, as well as financial information never before made public, author James Andrew Miller spins a tale of boundless ambition, ruthless egomania, ceaseless empire building, greed, and personal betrayal. 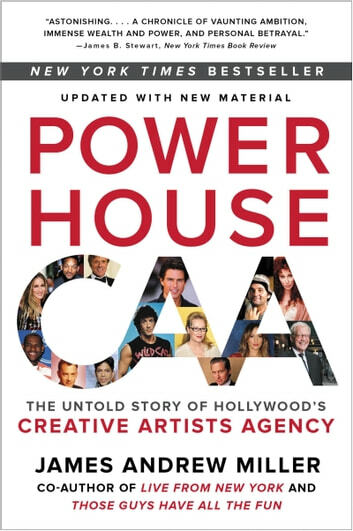 It is also a story of prophetic brilliance, magnificent artistry, singular genius, entrepreneurial courage, strategic daring, foxhole brotherhood, and how one firm utterly transformed the entertainment business. Here are the real Star Wars—complete with a Death Star—told through the voices of those who were there. 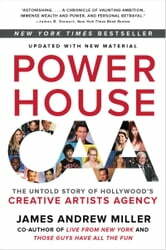 Packed with scores of stars from movies, television, music, and sports, as well as a tremendously compelling cast of agents, studio executives, network chiefs, league commissioners, private equity partners, tech CEOs, and media tycoons, *Powerhouse *is itself a Hollywood blockbuster of the most spectacular sort.